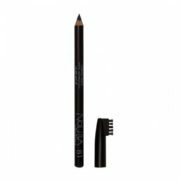 Nouba - Eyebrow Pencil - 322 - 81This brow defining pencil creates with ease and precision a full brow. Pencil point for a precise line. Glides on smoothly and is perfect to shade naturally. Long lasting. Contains creamy natural waxes for a precise line and long hold. Intense coloring due to the micronized pigments. Outline the shape of the brows and fill with short strokes inside the shape. 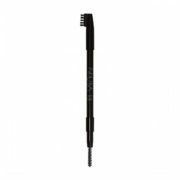 Finish the brows with the special brush incorporated in the cap.